La Palma is considered to be a great holiday destination for tourists of all ages. This beautiful island is the most north-westerly among the Canary Islands and has many stunning sites that have all the features needed to fascinate visitors. La Palma is well known across the globe for its beautiful beaches, historical monuments, volcanic craters and the range of museums and getting around all of the sights is so much easier when you opt for car rental. Visitors can find plenty of hotels in the towns and cities of the island. Accommodation is never a problem here but the visitors must confirm their bookings in advance to avoid any disappointment. Moreover, you can also enjoy delicious seafood dishes in the restaurants of La Palma. The most notable attractions of the island include El Roque de los Muchachos, Ruta del Volcanoes, Massieu Mansion, Plaza de España, the City Hall and many more. La Palma car hire services are widely available and very cost effective, particularly for those travelling in groups. El Roque de los Muchachos is the highest point on the island and easily accessible by car. This place offers exciting views of the island and you will not be able to resist taking some beautiful photographs. The Caldera de Taburiente, situated in the middle of the island, is a huge erosion crater and a must for those sightseeing. 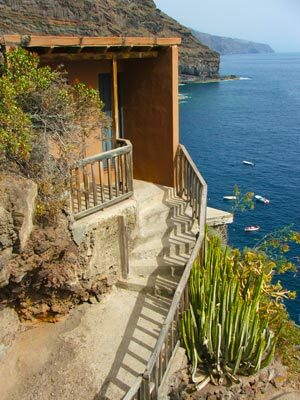 Santa Cruz, the capital of La Palma, is known for its beautiful 17th and 18th century buildings. Furthermore, you can enjoy eating cabrito and Papas arrugadas in the restaurants of this gorgeous island. The island has vineyards and the local wine is a must for those who like a tipple. City Hall is one of the most visited sites of the island. It is known for its historical importance and beautiful architecture. The hall is also home to seven beautiful paintings by the great artist, Antonio Palma Suarez Gonzalez. The Plaza de España is a popular meeting place for the locals. It is surrounded by a number of important buildings. The scenic beauty of this place has been admired by some great poets. Massieu Mansion, Poggio Maldonado home, the house of Sotomayor and Massieu Van Dalle house are some worth visiting places of the island and these can be found in Llano de Argual. Plaza de Los Cuatro Caminos, Puerto Naos beach and Charco Verde beaches are perfect for families who want to enjoy the sun and reaching them is easy with La Palma car rental. Driving around in the city of La Palma Airport with a rental car can be a hassle but not impossible. Its a good way to move around but we advise to have a look at the local traffic rules as they may vary with what you are used to. Take in mind that in rush hour traffic can be pretty dense and it can take longer before you reach your destination. The best way to discover La Palma Airport is by renting a car. Renting a car is easy and affordable way of transportation. With your rent a car you can explore the beautiful surroundings of La Palma Airport. Rentalcargroup.com works with numerous rent a car companies in La Palma Airport. Last month, the average car rental length at La Palma Airport was 6 days. The average rental car length at La Palma Airport is 6 days. The most booked rental car type currently at La Palma Airport is ECONOMY cars. Last year, the most booked rental car type at La Palma Airport were ECONOMY cars. How much does it cost to rent a car at La Palma Airport? Last month, the average car rental price was 103 USD. Last year, how much did it cost to rent a car at La Palma Airport? Last year, the average car rental price was 120 USD. What is the current average daily price to rent a at La Palma Airport? Last month, the average rental price was 16 USD per day. How much did it cost to rent a car at La Palma Airport over the past 12 months? Last Year, the average rental price was 19 USD per day. The car rental companies available at La Palma Airport are: Enterprise, Cicar. See below last 5 customer reviews. Our customers rated La Palma Car Rental with an average of 0.00 based on 0 ratings.